It is worth to mention that the Directorate focuses on the management of academic standards, quality of higher education and the other initiatives of continuing improvement through a systematic approach. The prime purpose of such a system would be to maintain and improve the level of the educational programmes and other elements affecting them. The system involve in identifying the outcomes of educational programmes, designing, implementing and reviewing the instruments of quality assurance such as processes and developing appropriate data bases together with the means of gathering and processing information effectively. All the students and nation at large should benefit from this quality systematic. The Education is the base of development of any country. The role of higher education in this regard is very vital and we are committed to provide quality education. This is the time to meet all the challenges of the 21 st century in order to make a respectable place in the world community by setting and achieving the international standards in all our educational institutions. The Quality Enhancement Cell in Bahauddin Zakariya University is involved in monitoring the University's academic programs to ensure that the internationally accepted standards are met and maintained. The quality enhancement is a process which enables us to determine new milestones and to set new goals after attaining the previous, this is a journey of achieving the standard very near to perfection. Quality Enhancement Cell's main task is to identity the strength and areas of improvement through the formal evaluation procedure and to ensure the remedial measures. World has become a global village and the survival of the fittest is the reality of the day. In this age of computer and satellite, every field has but to be compared with the International standard. Unfortunately, it is assumed that we are, one century behind as compared to well-developed countries of the world particularly in the field of Education, Science and Technology. Quality enhancement program is a step in the right direction and I need a full cooperation and support from my colleagues for making this University the best University in the Pakistan and to get recognition in the top world Universities. I am grateful to the Worthy Vice-Chancellor for his valuable continuous support and creativity in helping to devise the quality enhancement programs. The role of the Directorate is to promote quality culture in the university having significant impact on the standard of research, education, community service and extracurricular activities with a view to meet national educational requirements. Involve all the stakeholders and raise their confidence to continually improve the academic standards to a level of World top ranking universities. Review the existing standards of education, research, community service and extracurricular activities with a view to continually improve on annual basis. 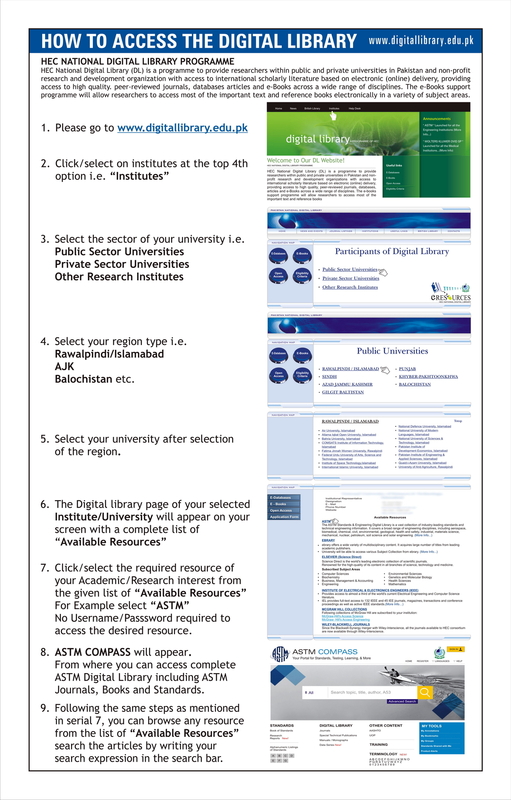 Shift to paperless electronic feedbacks from all stakeholders within three years starting with students and faculty feedbacks from early 2009. Self Assessment Programs in three departments of the university would be launched annually in consultation with department chairpersons till the Program is applicable in the entire university. To report to the Worthy Vice Chancellors for matters related to the quality of education & research and other tasks assigned by the authority from time to time. For promoting public confidence that the quality and standards for the award of degrees, management and over all quality of knowledge being imparted by the institutions are enhanced and safeguarded. For the review of quality standards by assessing academic standards and the quality of teaching, learning and management in each subject area. To develop qualifications framework by setting out the attributes and abilities that can be expected from the holder of a qualification, i.e. 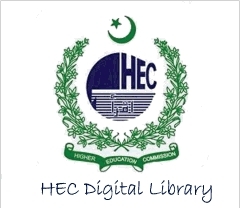 Bachelors, Bachelor with Honors, Master, M.Phil, Ph.D.
To train its staff from HEC on the subject of quality in higher learning and will be responsible to implement and disseminate that acquired knowledge into learning environment of the institution. To gather feedback from students, teachers and other stakeholders for analysis and further improvements in quality of education and research. Set a data bank of information related to quality and feedbacks. Updating the website on quarterly basis. Regular interactions with local and international quality enhancement offices. Conduct short courses on technical matters related to quality. Facilitate local chamber of commerce and industry on standards, quality and WTO matters. Assist laboratories to get international recognitions through accreditation.